We are more than just loyalty. We offer a full suite of customer engagement tools. No spam - we promise - only latest news and prices! Tons of features that help you create, manage, monitor, and measure every aspect of your business. See customer activity exactly as it happens. Customers only need to enter their phone number. Multiple marketing channels guarantees your message will be seen. 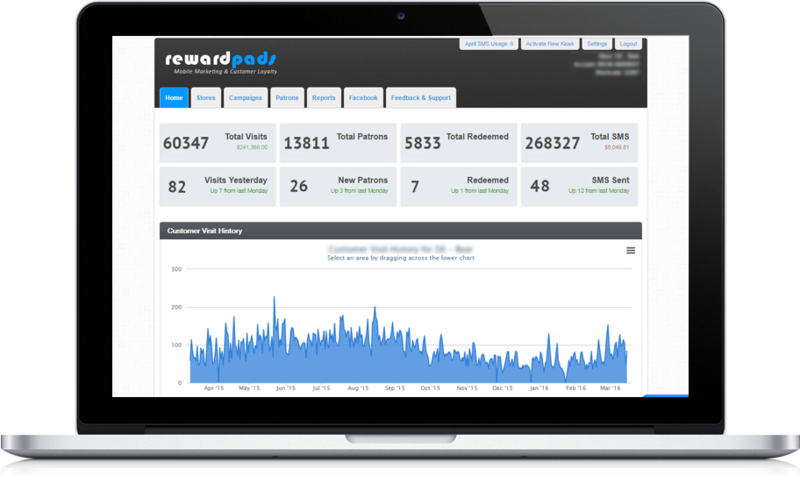 RewardPads provides you multiple channels for you to build your customer database. 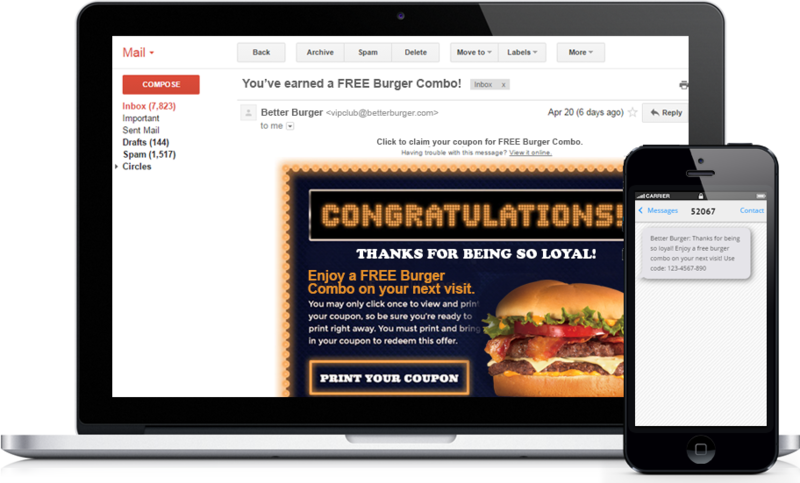 Learn what works by monitoring customer visit and buying behaviors, and coupon redemption rates. Communicate with Email, Text Messages, Facebook, Twitter, and more to come. 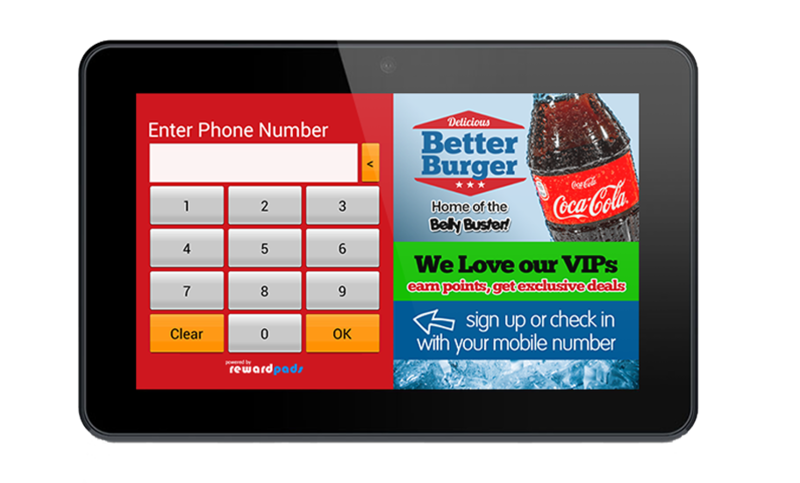 RewardPads can help you automatically send incentives or offers to your at-risk customers. Get 100 free text messages. No payment required. Cancel anytime. With all the technology available today, why would you still want to use paper punch cards? Throw them out and join the 21st century! RewardPads was designed for this! © rewardpads, llc 2016. all rights reserved.